Being a tech blogger can be a tricky thing. While the debate over whether or not we're really journalists rages on — frankly, there's an argument to be made on both ends — the side discounting the notion certainly got a leg up this week, when CNET was ordered to pull one of its Best of CES nominees by parent company CBS. The candidate of note was Dish Network's new upgrade, "Hopper with Sling," a very cool bit of tech that allows subscribers to stream television anywhere via any Internet-connected gadget. Unfortunately, CBS was in a legal battle with Dish over its previous Hopper, and so corporate wielded its mighty hammer and slammed it down upon the CNET editorial staff. It was told to ditch its pick, in a fairly well-publicized controversy. 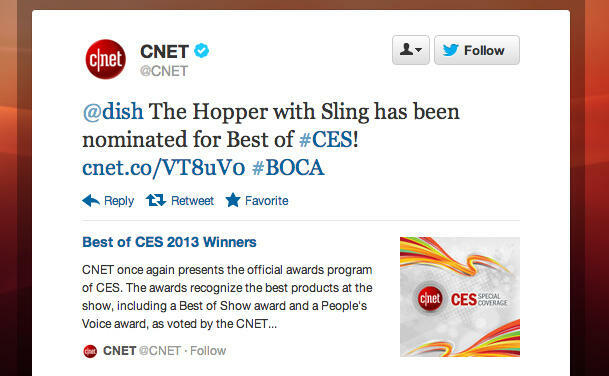 Dish had tweeted about the honor, and then CNET retweeted it, but when it came time to announce the winners, the Hopper with Sling was conspicuously absent. I wish I could say this type of thing never happens in the tech reporting field. But I have to be honest — the tech industry is an incestuous bunch, with many sites sending writers out to cover brands that have relationships with the company. There's an obvious conflict of interest there. And it's not just the technology scene. I've covered many different topics, and seen many editors-in-chief forced to go to bat for the sake of editorial integrity. And that's exactly what the best of the bunch are supposed to do. Of course, not all sites and blogs have such high-minded goals. Sometimes, editors acquiesce and bend the types of news or articles that get put out into the wild, just to appease certain parties. I thank my lucky stars that I've never been pressured to skew my honest impressions of a gadget or tech company one way or the other. But I do relate to the situation faced by CNET's staff. The writers and, yes, journalists there had a gut-wrenching scenario on their hands. While it shouldn't take away from the fine work they do otherwise, this was a thoroughly disheartening situation. And it undercuts the primary goal all of us are supposed to have: to serve our readers — not ourselves, or our partners or investors, but the people who trust us and rely on us for authentic information. It's both a responsibility and a privilege, and shouldn't be taken for granted. UPDATE: Senior editor Greg Sandoval has resigned over this issue, tweeting: "Hello all. Sad to report that I've resigned from CNET. I no longer have confidence that CBS is committed to editorial independence." — Greg Sandoval (@sandoCNET) January 14, 2013. Sandoval covered media and digital entertainment for CNET. He elaborates in follow-up tweets: ""I am not disgruntled. CBS and CNET were great to me. I just want to be known as an honest reporter. …Please know no one in News or Reviews editorial did anything wrong. I believe CNET's leaders are also honest but used poor judgement. …CNET wasn't honest about what occurred regarding Dish is unacceptable to me. We are supposed to be truth tellers."